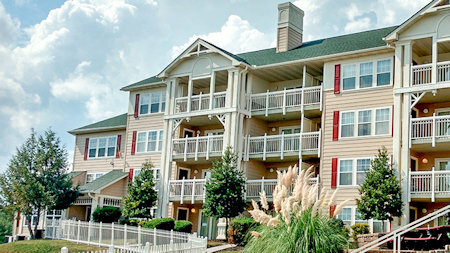 Sunrise Ridge Resort in Pigeon Forge, Tennessee! 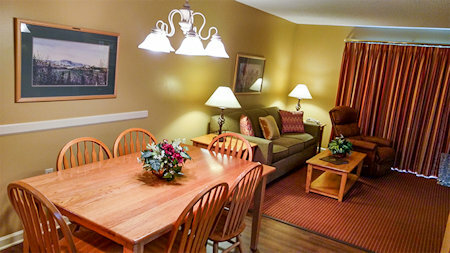 - Buy a 7 Night Stay in a 1 or 2 Bedroom Suite! 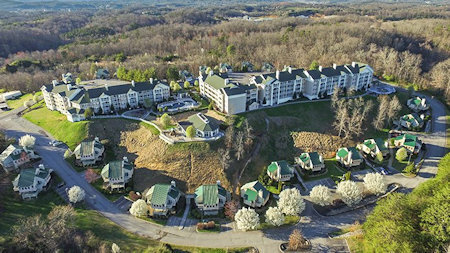 Enjoy a 7 Night Stay in a 1 or 2 Bedroom Suite at Sunrise Ridge Resort in Pigeon Forge, Tennessee! When not taking in all the sights and action of the area, guests can enjoy the activities for the whole family that Sunrise Ridge. There are indoor and outdoor swimming pools, along with a separate children's pool. There’s also a whirlpool/hot tub, an on-site health club with exercise equipment, a games room, and more. And it’s all set against the stunning backdrop of the majestic Great Smoky Mountains. 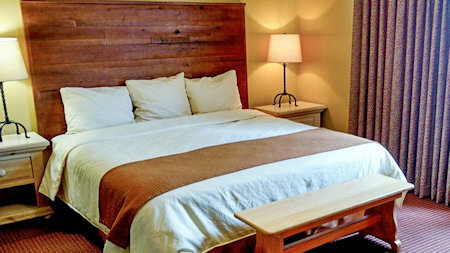 Comfortable accommodations at Sunrise Ridge are perfect for relaxing after a busy day in the mountains. All units are tastefully decorated and feature air conditioning, kitchen facilities with dishwasher and microwave, washer/dryers, telephones, and numerous comforts and conveniences. The TWO BEDROOM SUITE will accommodate up to 6 and has a full kitchen. Resort charges an amenities fee of $5 USD per unit, per night plus 12.2% tax.